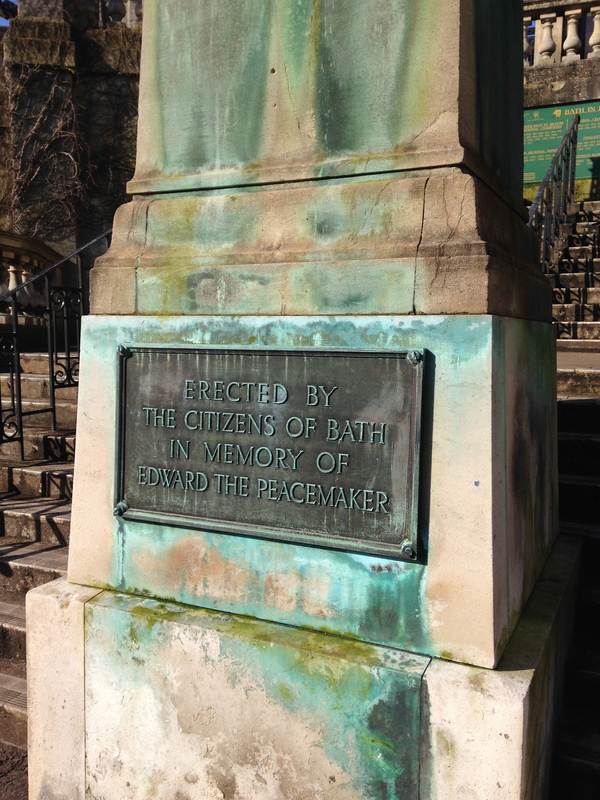 A memorial in Bath’s Parade Gardens. I’m drawn to all types of memorials, not just gravestones in cemeteries. Non-cemetery memorials say to me that someone thought that memory and history was important enough to erect a permanent tribute. 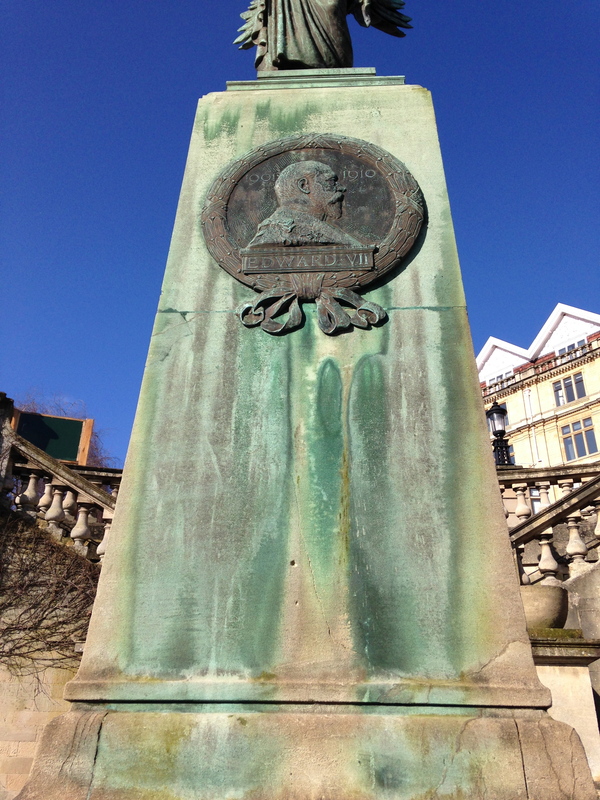 Edward the Peacemaker, otherwise known as King Edward VII. 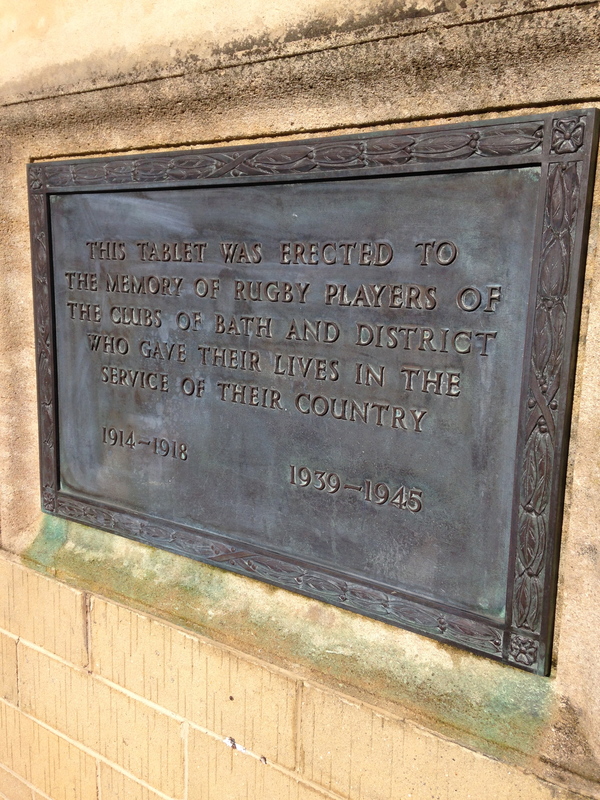 Outside the Bath rugby stadium. 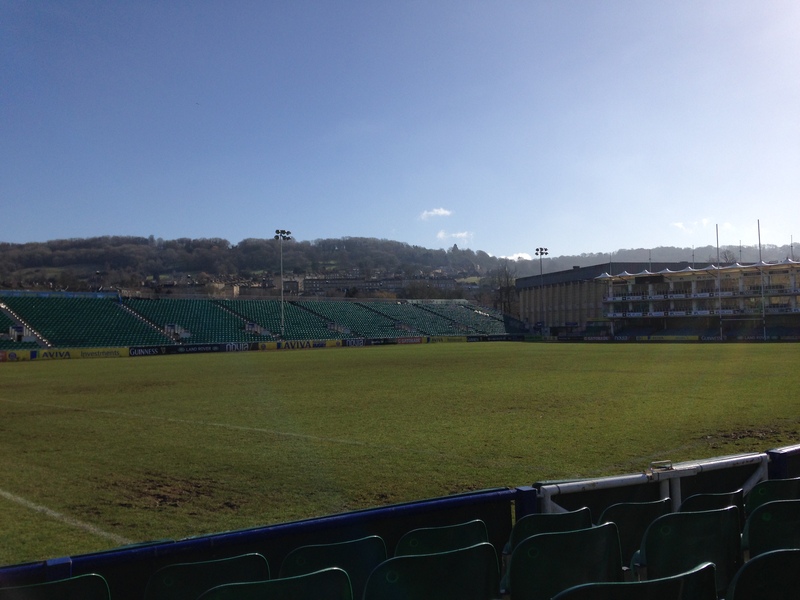 Just for context, the rugby stadium in Bath. 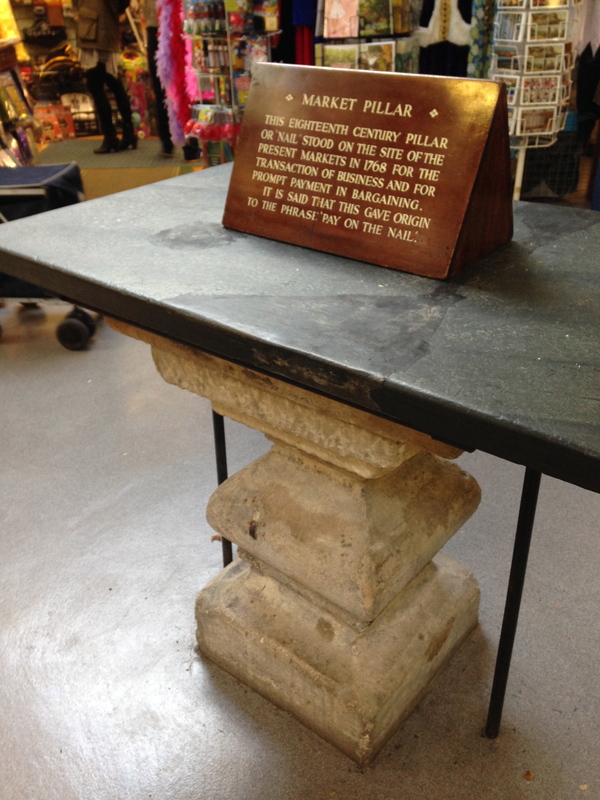 This market pillar is in the Guildhall markets. It dates to 1768. 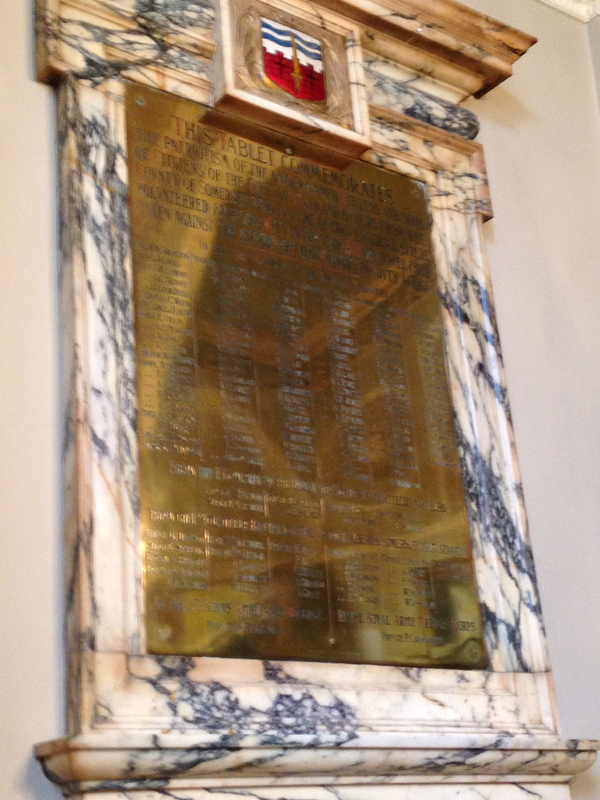 The next three photos are memorials in the Guildhall as you go up the steps to the main banquet room. 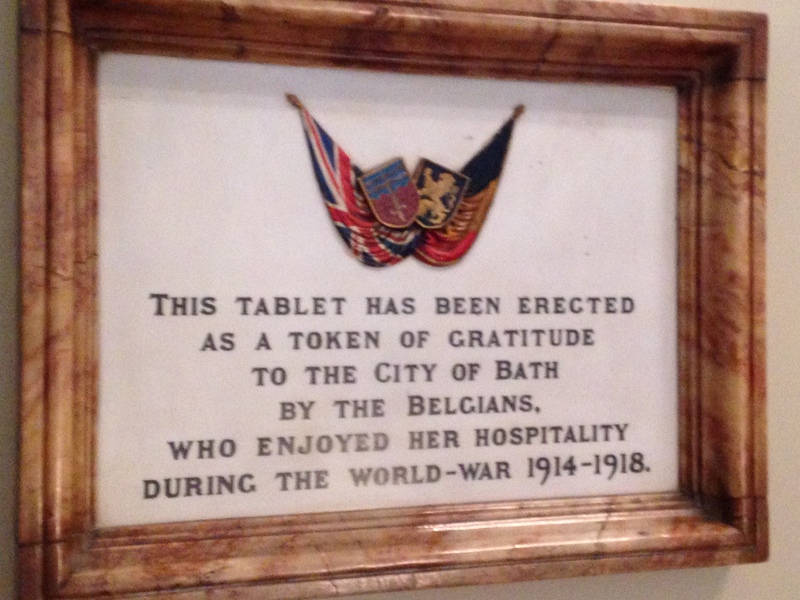 This one makes me want to know more about the relationship Bath had with the Belgians during WWI. 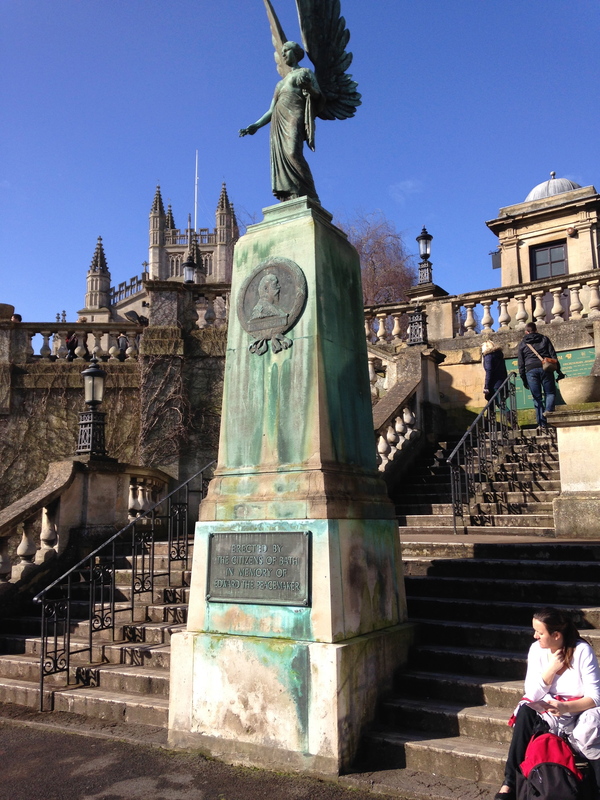 The text doesn’t show up here, but it’s a memorial to those who fought in the Boer Wars in Africa. 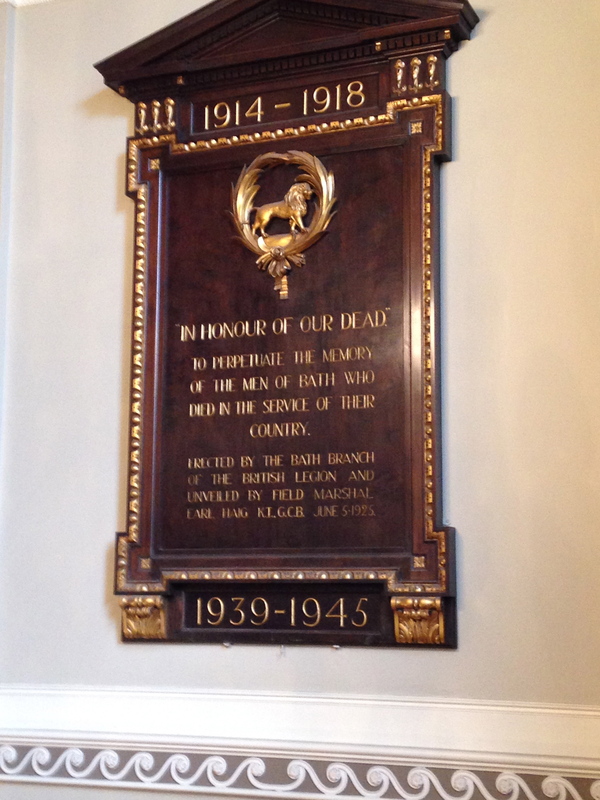 I’ve seen a lot of memorials to the two world wars over here. Please consider visiting ‘Liberty Memorial’ in Kansas City, Missouri in 2014 during many of the 100th anniversary celebrations of WWI. Liberty Memorial is the ONLY dedicated WWI Museum in America. Allow three days to see it all. Add WE’LL BE THE LAST ONES TO LET YOU DOWN to your Goodreads shelf! Guess who's writing a memoir?